Do you ever sit around on a lazy Sunday morning and think of things that you could do for the day? Crafts are always a fun and easy thing to do. This craft is cheap, easy, and only takes about 10 minutes. You can get your supplies from any craft store. I got mine from Hobby Lobby. Step 1: Gather your supplies. 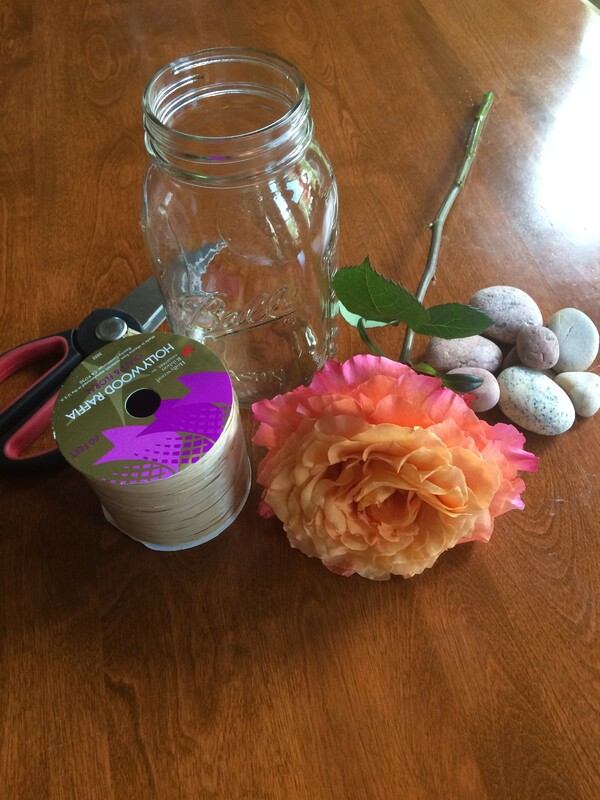 You need a mason jar (any size), rocks, twine, scissors, and a flower (real or fake). Step 3: This is a simple step. 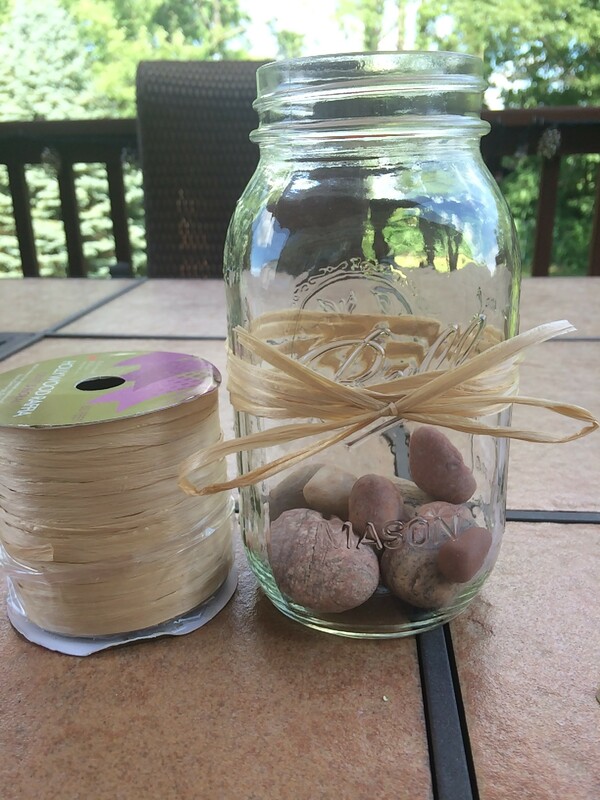 Just put the rocks inside the jar. Be careful not to just drop them so that the glass will not crack. 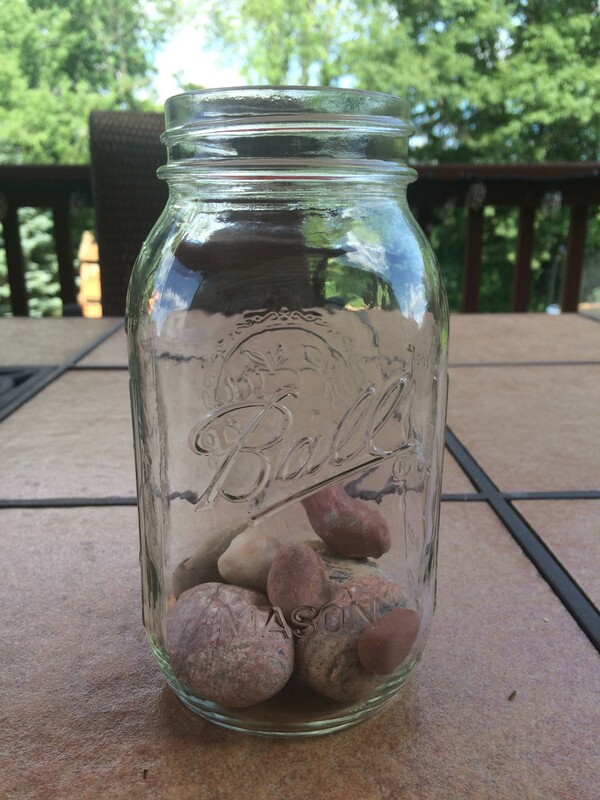 I used about 7 rocks but it can vary on how big your jar is or how many you think looks good. Step 4: The next step is to wrap the twine. 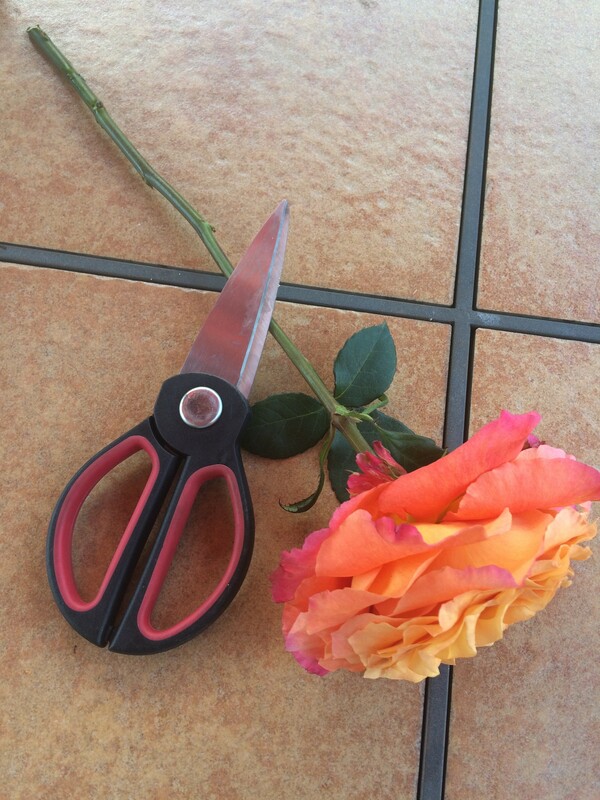 Take a piece measure it by your wingspan and cut it. Than wrap it around the jar twice or three times depending on the size. Than tie it in a bow. Step 5: This is the last step. Just add water about 3/4 of the way and put the flower in the jar. 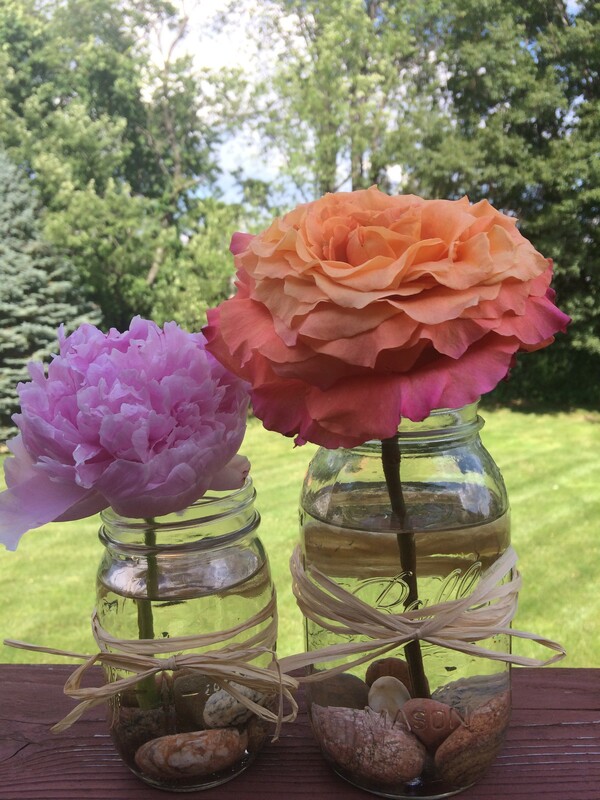 And there you go, a cute fun craft that will brighten up your house and hopefully your day.